Planning for the 12th International Conference on Occupational Stress and Health—“Work, Stress, and Health 2017: Contemporary Challenges and Opportunities”—is already underway. The event will take place June 7-10, 2017 in Minneapolis, MN. More details, including the official call for papers, will soon be available at www.apa.org/wsh. The ICOH Scientific Committee on Cardiology (SCC) in Occupational Health is a committee of researchers, cardiologists, occupational health physicians and public health workers throughout the world concerned about the impact of work and work-related factors on cardiovascular health. The SCC works to link economic globalization to the changing nature of work and its impact on the risk of cardiovascular diseases, and focuses on research, worksite interventions, and public health. The mission is to identify work-related risk factors for cardiovascular diseases, including both the physical and psychosocial work environment, examine the interplay of social class, work and health, to assist in the development of interventions to reduce the burden of unhealthy jobs, and to support public policies that improve working conditions both locally and globally. cardiologists involved in CVD prevention and rehabilitation, psychologists, sociologists, and policy makers. association between JCQ and CHD incidence, respectively; Akizumi Tsutsumi will review most recent findings on work environment and strokes; Peter Angerer will present evidences of short-term and long-term effects of work stress interventions; and Andreas Holtermann on the long term effects on CVD risk factors of a worksite RCT aerobic exercise intervention. Other keynotes are foreseen. which will be published in a dedicated supplement of the European Journal of Cardiovascular Prevention. It will be a unique opportunity to update our colleagues involved in CVD prevention about the relevance of work related issues, for improving the quality of life of their patients. There will be pre-Conference workshops, organized by international specialists and opened to a limited number of attendees. For the time being, the first workshop scheduled is Occupational Physical Activity and Cardiovascular Disease: Research Updates and International Collaboration, proposed by Niklas Krause; Andreas Holtermann and Els Clays. Announcement: The 3rd Congress of the Americas on Psychosocial Factors, Health Mental and Work will be held in Fortaleza, Brazil from October 18th to the 21st, 2016. More details for this conference will be posted shortly on the RIFAPT website. Topics: The conference aims to bring together scientists and professionals of all disciplines involved in sustainable employability by offering a platform to exchange scientific knowledge and practical know-how. Topics: The scientific program will cover all major topics of current epidemiologic research in occupational health. We have chosen the theme to promote the connection between local research and action with research and action in occupational health at the global level. The programme will include pre/post conference workshops and special care will be taken to promote participation of young researchers. To download the first announcement, please click here. The Call for Proposals (including online submissions) is available now, and can be found at the official conference website: http://www.apa.org/wsh/. The submission deadline is October 6, 2014. This course, presented by the Division of Occupational and Environmental Medicine in the Department of Medicine at the University of California, San Francisco, is designed to provide occupational and environmental health professionals and persons from other health-related disciplines with a review and update of current data in occupational and environmental medicine. The first day of the curriculum will focus on Cardiovascular Health and Disease. A poster session the evening before will supplement the cardiovascular course content. The second day and final half-day of the course will cover a multi-topic theme: Updates in Occupational and Environmental Health. This course is approved for American Board of Preventive Medicine Maintenance of Certification credit and is a comprehensive update for occupational medicine specialists. California Qualified Medical Examiner credit approval is anticipated. This course is also designed to meet the needs of primary care providers and others engaged in occupational health practice and research including physicians (family physicians, general practitioners, internists, emergency medicine specialists), nurse practitioners and other nursing professionals, as well as physician’s assistants, industrial hygienists, and health researchers and policy makers. For more information or to register online visit our website at www.cme.ucsf.edu. 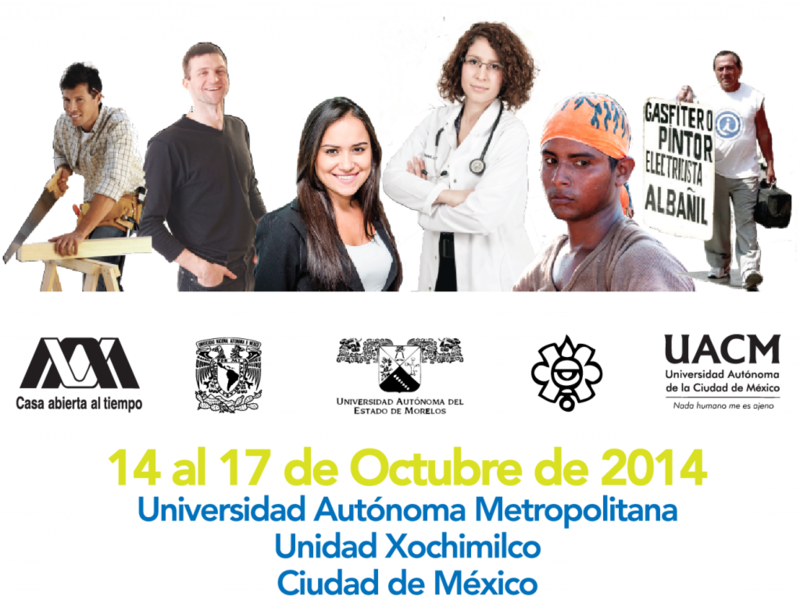 *The Center for Social Epidemiology’s Director, Peter Schnall, MD, MPH will be giving his presentation, “Work Organization and Stress as a Risk Factor for Cardiovascular Disease – Time for Intervention?” on March 12 at 11:00 a.m.
Metropolitan Autonomous University XochimilcoFederal District, Mexico. Little more than six years have passed since the initial activities of the Research Network on Psychosocial Factors in the AC Working During this time he promoted the first three videos of the Americas on Psychosocial Factors: Cuernavaca, Morelos, 2006, Guadalajara, Jalisco, 2008 , and Mexico City, 2010. So, the project matured and attention to the impact of the event, so I called the Fourth Forum transitional and First Congress in Bogotá, Colombia in 2012. From there it has agreed to call Congress to the following events. In these successful academic meetings, topics and proposals developed have enabled sets bring together researchers, professionals and workers in the Americas around the discussion and development of proposals sponsoring the implementation of workspaces safe, healthy and satisfying, to prevent the harmful impacts on mental and organic integrity of workers. Since the last century, a result of global deployment of capital and the crisis with recurrent rallies, working atmospheres have become more complex to the extent that huge population stripes that once contributed to the development of societies through their work, are expelled or not allowed more in the workplace. Consequently, there is now a growing flood of unemployed, lacking multiplication of informal jobs both benefits and coverage for health groups to which an increasing number of young people adds no possibility of formal employment. Analysis of the role that neoliberal globalization on working conditions and dehumanization. Theoretical and methodological research contributions of psychosocial conditions and health consequences of formal and informal workers. Analysis of the role that labor-crises as a result of globalization-has on job insecurity and its effects on subjective and objective of the work content and the identity of the subjects. Implemented policies on working conditions and health Mental health reform and labor reform. Evaluation of intervention models for the prevention of psychosocial risks and their effects on health. Union participation in research, prevention and psychosocial risks and their effects on health. The National Institute for Occupational Safety and Health (NIOSH), part of the U.S. Centers for Disease Control and Prevention (CDC), is pleased to announce the International Symposium to Advance TOTAL WORKER HEALTH™. Mark your calendar to join us October 6 – 8, 2014 in Bethesda, MD on the historic and healthy campus of the National Institutes of Health. Total Worker Health is a strategy integrating occupational safety and health protection with health promotion to prevent worker injury and illness and to advance health and well-being. This approach recognizes that both work-related factors and factors beyond the workplace contribute jointly to the numerous health and safety challenges facing today’s workers. Thetotal worker health strategy champions interventions that comprehensively address work and non-work threats and determinants in a harmonized way. Health protection activities and health promotion programs, which have often been traditionally compartmentalized, can be successfully coordinated and combined for greater effectiveness. This symposium will explore subjects, themes and concepts of great interest to researchers and practitioners in the following areas: workplace health, human resources, organized labor, benefits, occupational safety, disability managements, health promotion, public health, health policy, health economics, organizational and occupational health psychology, industrial hygiene, employee assistance, emergency response, workers’ compensation, and related disciplines. I am pleased to invite you to the International Commission of Occupational Health, Work, Organisation and Psychosocial Factors (ICOH-WOPS) Sept 17th -19th 2014, to be held at the Adelaide Convention Centre. The congress will explore a number of themes related to worker health as a basic human right for all. Adelaide is ranked as Australia’s most liveable city for a third year running, and the fifth most liveable city in the world. Please expect a call for abstracts and symposia shortly. Kindly consider building some time into your program for some well-deserved relaxation and exploration in Australia. It is a long way to come and there is much to see outside of the cities. Maureen Dollard, Michelle Tuckey, Tessa Bailey, Anne Devizis, Anna-Maria Kalaitzis, Aditya Jain.